Wyatt Oswald lines up the increment borer. 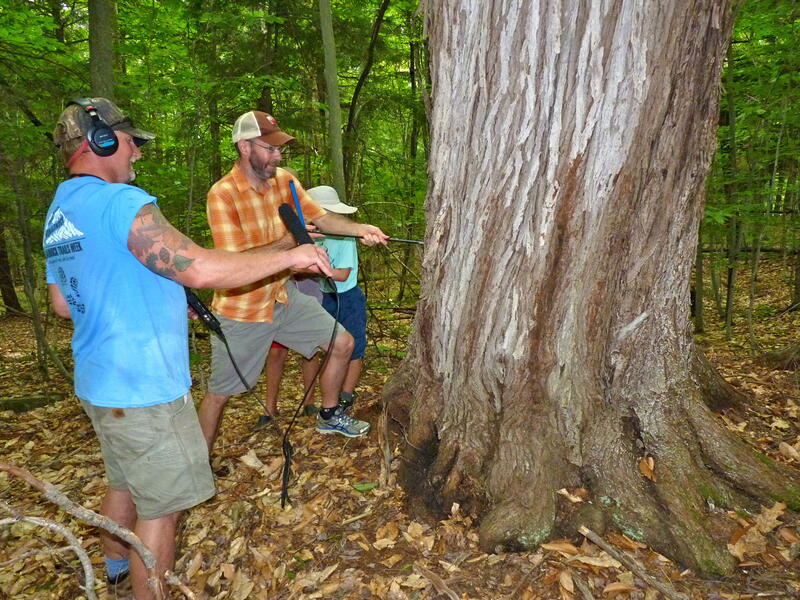 Wyatt twists the borer, drilling toward the center of the tree. 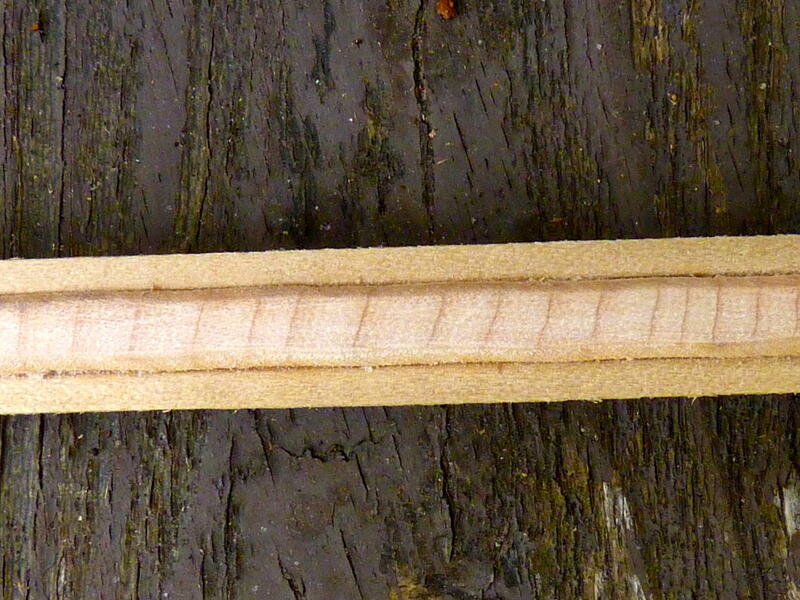 The rings of the core become more visible after sanding. Examining the core more closely. How do you determine the age of a tree? Just count the rings, of course! One ring equals one year of growth. If you’ve ever stumbled upon a tree stump you may have even done it yourself. But if you’re counting rings on a stump, the life of that tree is over. So how do you count those rings while the tree is alive? 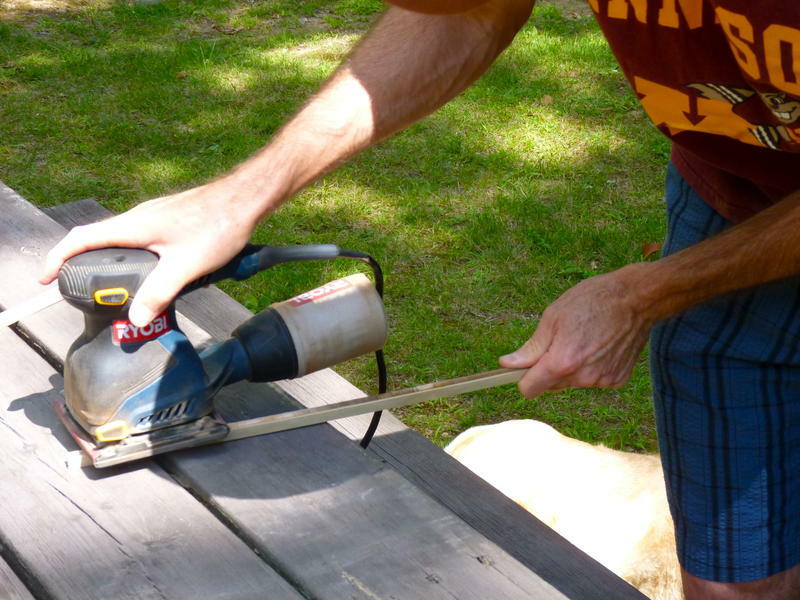 Experts use a special tool called an “increment borer”. An increment borer is a tool used to extract a small core from a tree, allowing a dendrochronologist to count its rings without having to cut it down. This T-shaped device has been used for centuries. The cross of the T is the handle, which is connected to a long, hollow tube that has a drill on the end. Line up the drill with the trunk of the tree and start twisting like a screwdriver. The core is captured in that hollow tube, resulting in a long straw of wood to be examined. 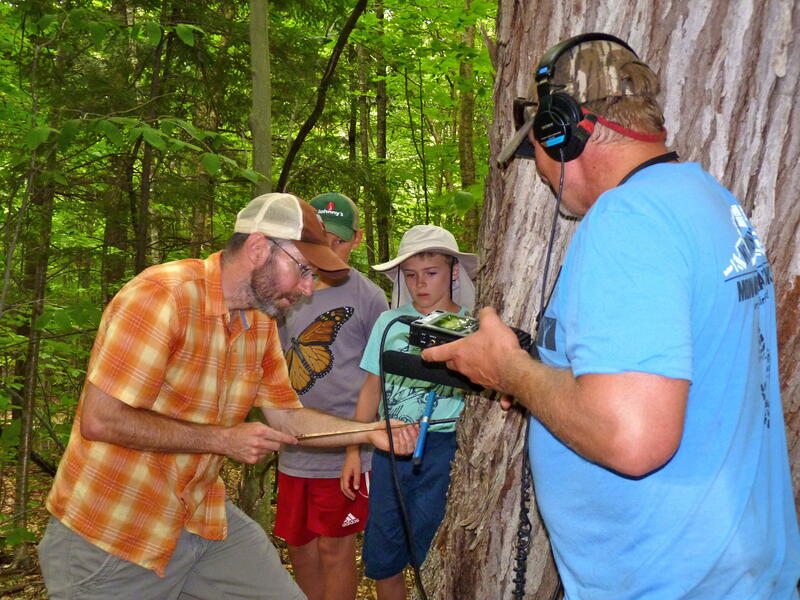 Dendrochronology - the science of dating events and environmental change based on the analysis of patterns of tree rings. 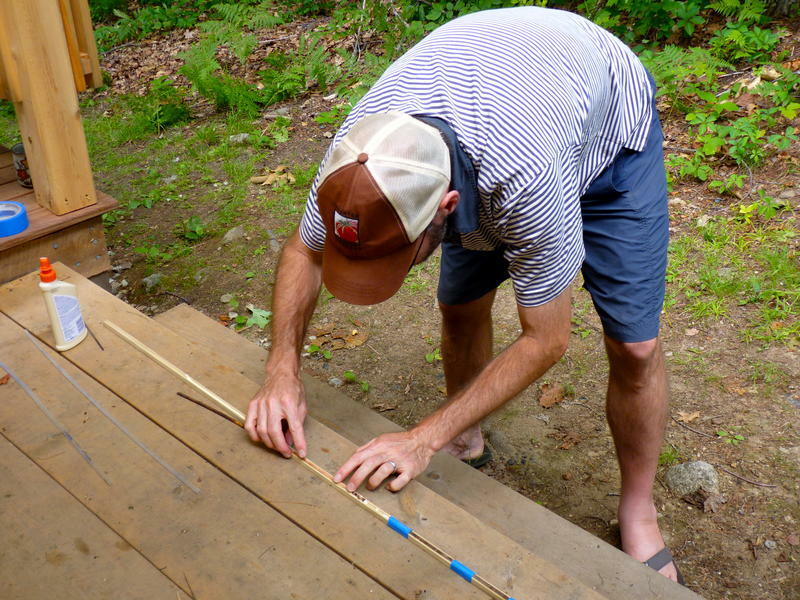 While its design is simple, an increment borer requires precision in order to get a good core sample. On the inside of a tree there are a whole series of concentric circles, but they are not perfectly circular and that makes it a challenge to hit the dead center of the tree, which is called the pith. This method is clearly less invasive than cutting down a tree, but it still leaves a hole in the trunk. The tree is able to heal and seal off the hole from the elements, but it’s not necessarily doing the tree any good. One has to be very careful when using an increment borer so as not to disrupt the integrity of the tree. 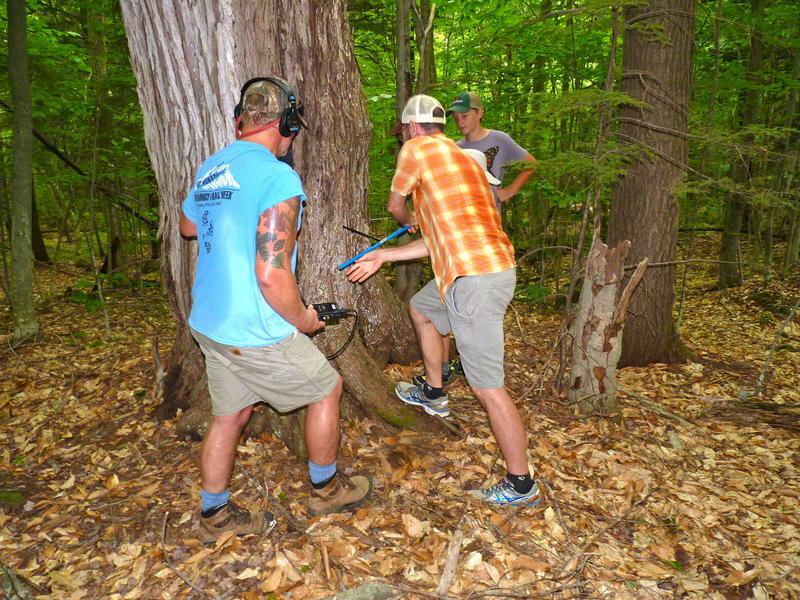 Something Wild’s Dave Anderson joined Wyatt Oswald, a dendrochronologist from Emerson College, on a trip to extract a core sample from an old red maple in Newbury. The core Oswald pulled was about 22 inches long! 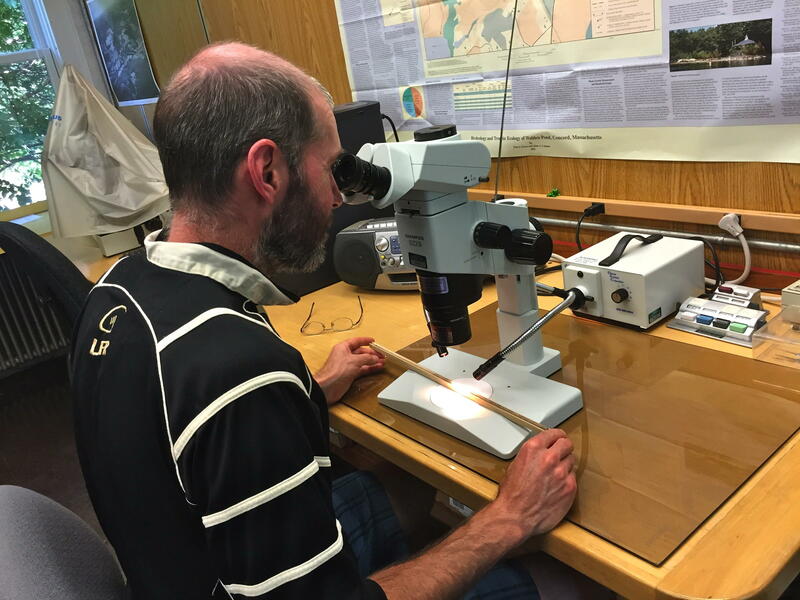 He then took the sample back to the lab where he mounted it on a piece of wood and sanded it down with very fine sandpaper so he could count the rings. 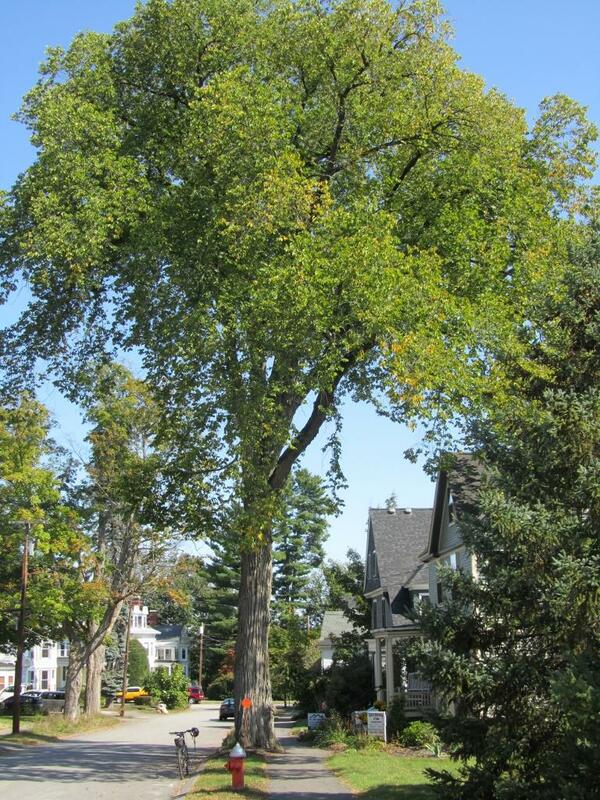 Oswald determined that red maple is about 150 years old, placing its origin in the 1860’s! That tree “remembers a time before the Civil War, a time when New Hampshire’s population was only 326,000. Reading the rings gives us more than just a number. It tells us the story of the tree, giving us some insight about how the tree lived; almost like examining its memories. Groups of rings that are close together, then farther apart show a change in rate of growth. When a tree is growing slowly, it tells us there are a lot of other trees around. That tree was competing with surrounding trees. All of the sudden, the rings show an acceleration of growth, showing less competition. Counting back the rings might line up with a hurricane that wiped out all the trees around it, or a logging expedition from which the tree was spared. There’s a lot of history to be found in trees. 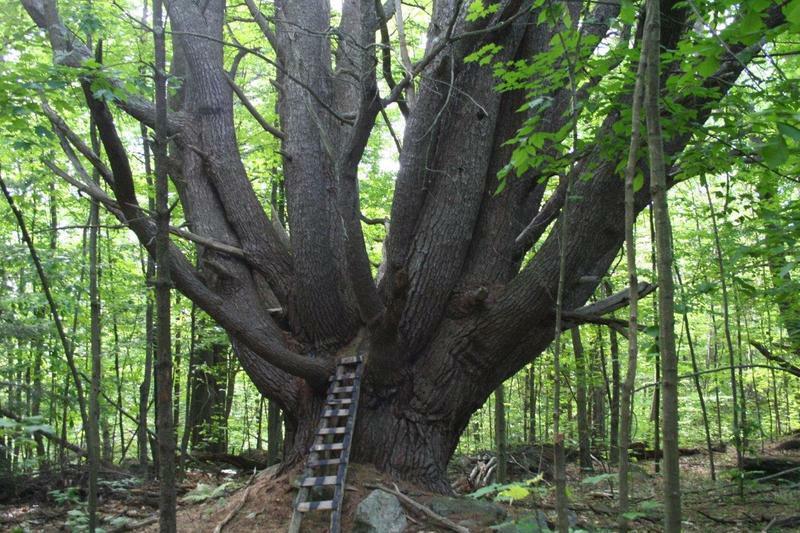 Spruce can live 400 years, Hemlock can live 600 years, and the oldest tree recorded was over 5,000 years old! 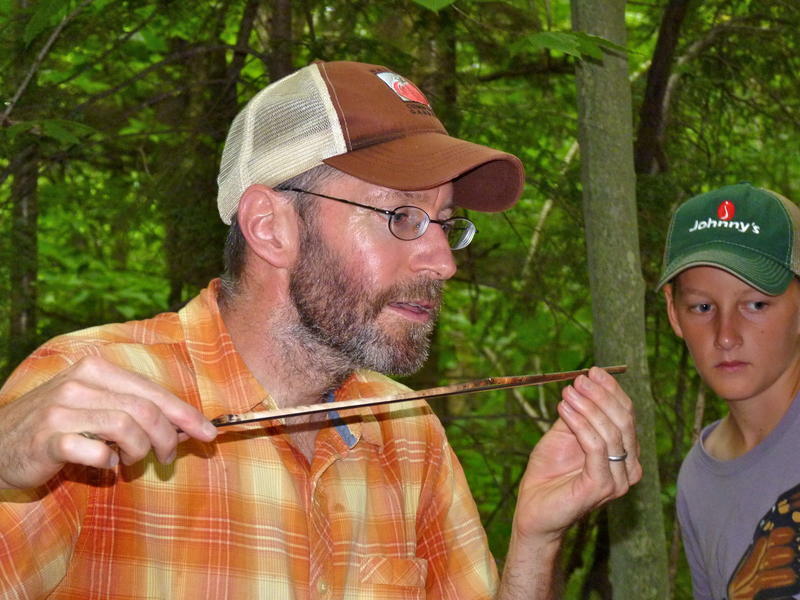 A study says that a mutated fungus is infecting white pine forests in parts of New Hampshire. White pine blister rust comes from a combination of white pines and flowering plants — called ribes — like gooseberries and currants. When infected ribes lose their leaves in the fall, spores of the fungus invade white pines and eventually kill the tree. A U.S. Forest Service study says the fungus is infecting trees in Epsom and Concord, and possibly elsewhere in the Northeast.